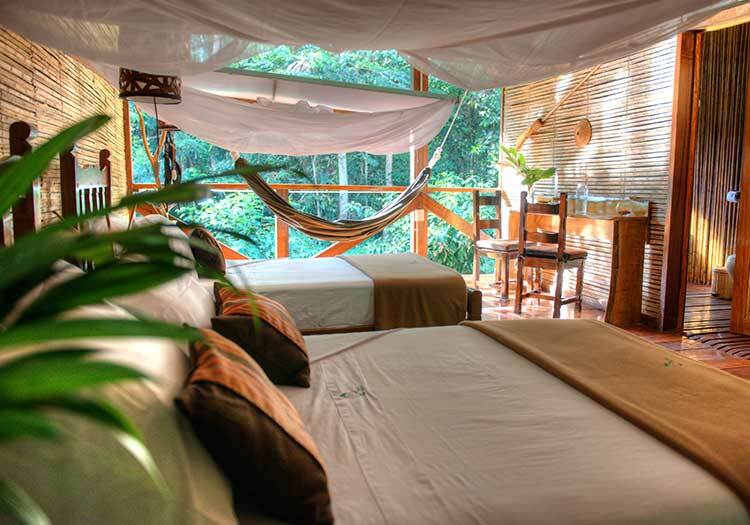 At the Amazon Villa, enjoy the planet’s most biodiverse setting from the comfort of a private bungalow: no neighbors, just beautiful jungle views in every direction. Everything, from your meals to guided daily excursions, is included, making for an unforgettable and seamless Amazon jungle experience. This one-of-a-kind Peru vacation experience is as private and exclusive as it gets. 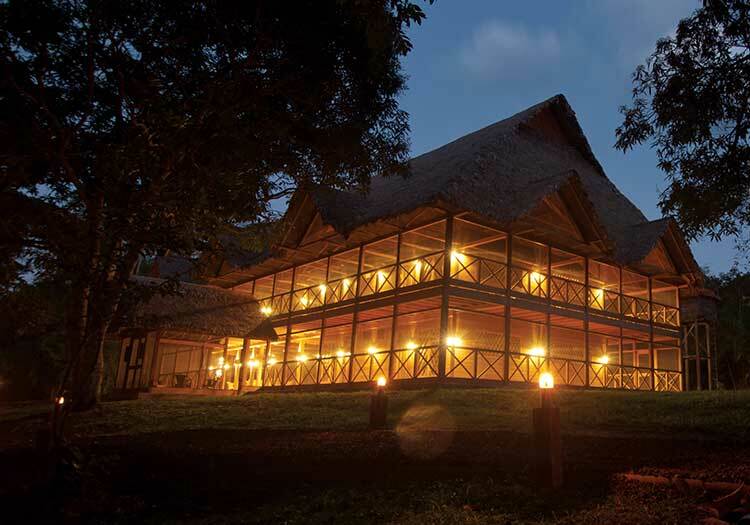 With monkeys, exotic birds, and countless jungle wildlife as your sole companions, a stay at the Amazon Villa is a chance to truly unplug and disconnect from the non-Amazonian world. A comfortable combination of privacy, amenities, and activities await you at your beautiful bungalow of hardwood floors and local Ese-Eja artisanship. Comfort is easy to come by with a sumptuous king size bed and a pair of hammocks for soaking in the surroundings by day. 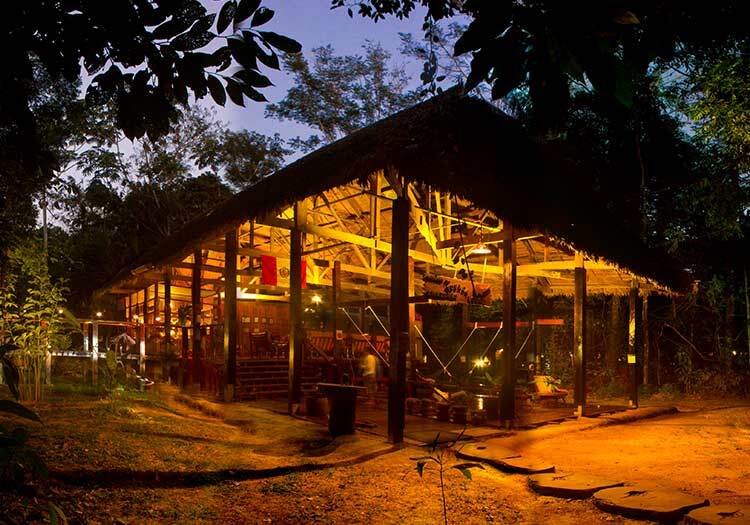 Enjoy delicious Peruvian cuisine on your private porch and set off on jungle adventures with your personal local guide.